The Learn to Sail program concentrates on the basic elements of sailing and is open to children from 8 to 18 years of age. The program emphasizes the fun of sailing with friends while learning about sailing terminology, safety equipment, safety procedures, boat rigging, knots, sail trim and boat control. Lessons generally start with classroom discussion, but the majority of the time will be spent on the water. The main goals of the program are to have fun, learn the basics of sailing, and be safe at all times. Upon completion of the course, the student will be able to sail a small sailboat with developing confidence in a variety of weather conditions. Learn to Sail is open to members and non-members. 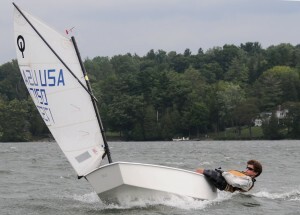 The Youth Sailing program concentrates on refining sailing techniques and building confidence. Participants must complete the Learn to Sail Program and/or have instructor approval. This program is designed for juniors who want to continue to sail with their peers, but not in a competitive format. It is organized to ensure all sailors have fun while continuing to advance their sailing skills. Introduction to and a chance to sail different types of boats will be included. Youth Sailing also teaches many skills needed by those wishing to join our Racing Program. Learn to Sail is open to members and non-members. Junior Fleet builds sailing skills and confidence through practice and racing. Training introduces racing rules, starting, mark roundings, boat handling and tactics. Junior Fleet members reinforce these skills with supervised racing at Willow Bank and other local clubs. Proper care and maintenance of boats, racing sails, rigging, and hardware are incorporated into this program and emphasized as part of sailors’ responsibilities. 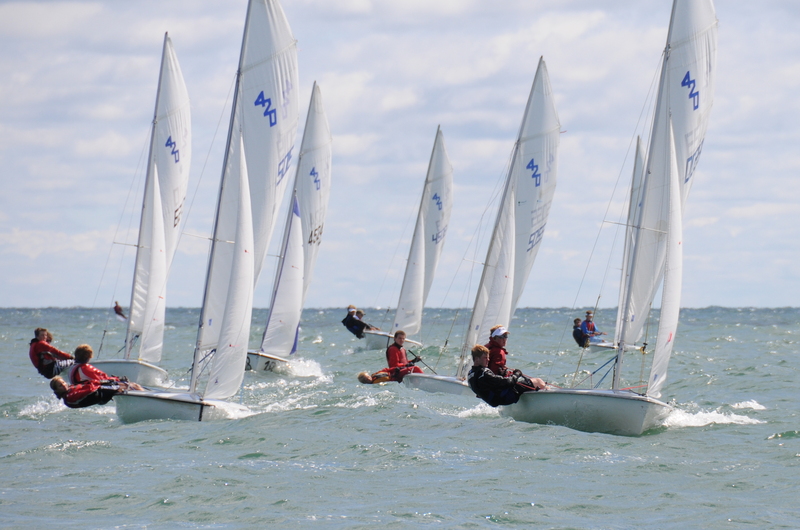 Jr. Fleet members will host and travel to local Optimist and Laser/420 regattas throughout the summer. 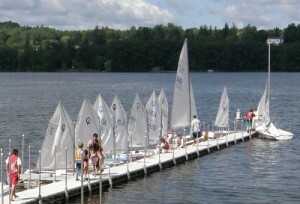 Jr. Fleet sailors are also encouraged to participate in the regular club races on the weekends. This program is open to WBYC members from 8 to 18 who are competent single-handed sailors. Learn to Sail is conducted in the mornings and afternoons in six one-week sessions. Youth Sailing is conducted in the afternoons in 8 one-week sessions. Junior Fleet is offered in one seven-week session. Sessions are Monday – Friday. Junior Regatta Dates: Most are on Tuesdays & Wednesdays. See the club calendar for details. Walk-in registration for all Learn to Sail, Youth Sailing and Junior Fleet sessions will be held on Monday, May 27th from 11:00 AM-2:00 PM and Sunday, June 16th from 11:00 AM-1:00 PM at Willow Bank Yacht Club. Contact Al Marshall at (315) 882-3859 or jrsailing@willowbankyc.com. Junior sailors must be at least 8 years of age and must be able to swim 100 feet with any stroke(s) and then put on a lifejacket while treading water. Sailors will get wet on some days and completely soaked on others. Wind breakers, rain jackets, and/or rain pants can make sailing a lot more fun on cooler days, especially early in the season when the lake is cold. All of our instructional programs adhere to the Junior Sailing Curriculum of US Sailing. The programs are designed to cover a large volume of material, yet preserve the feeling of a vacation activity. Sailors are allowed to learn at their own pace. Our instructors are US Sailing Trained and Certified and are also certified for first aid and CPR. Learn to Sail and Youth Sailing programs are open to the public. Jr. Fleet is open to WBYC Members only. Affordable junior memberships are available.